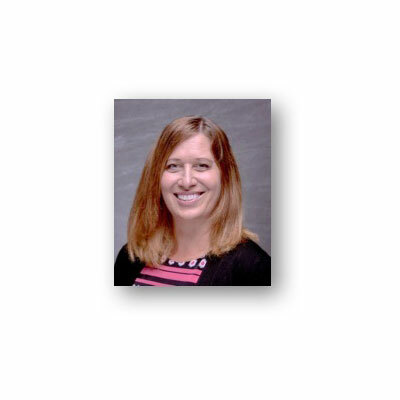 Kedra Simm is a seasoned Cloud Partner and Channel Programs Manager with almost 30 years of experience in program development, product development, product deployment, marketing, customer engagements and manufacturing concentrating on the Service Provider industry worldwide. Since receiving her electrical engineering degree from Princeton, Kedra's career has been driven by a desire to build groundbreaking solutions across all industries. This has included designing actual buildings, driving the evolution of Professional Services and enablement teams, leading the development of the new partner programs with the VMware Service Provider Program and most recently setting the strategy for the Riverbed channel recurring revenue model. At Ciena she is helping to drive channel growth through the development a unified and personalized partner program for SIs, Solution Providers, MSPs, and Services Partners. As a newcomer to Ciena, I have focused on the channel community and quantifying their impact to the business. I have spent a significant amount of time with the field learning about the partner interactions and needs of the program. By working with the field to understand their perspective it has allowed me to help develop the plans for the coming year. As we have looked to include new partner types in our partner program I have helped to set the strategy for our newer software solutions. As we continue to expand our partner community, this allows Ciena to focus more on the unique needs of our partners and quickly and jointly build routes for success. Partnering is personal is our mantra. As Ciena looks at the coming year, we will be concentrating on how to drive the organization to a program that allows each partner's individual needs to be exceeded in our program. I am especially excited to be concentrating on the incentives offered to our partner community. The channel industry is changing with the need for more personalized emphasis on partners and the incentives available must reflect that shift. The incentives available to partners will be highly customized and concentrated on individual partner success. In 2017 I was voted into the Cloud Girls, Board of Director as the Director of Event Planning. Cloud Girls (cloudgirls.org) is a vendor-neutral, not for profit community of female technology advocates dedicated to educating themselves and their stakeholders about the vast and dynamic cloud ecosystem. I have also been nominated as Treasurer for the Women@Ciena STEM Committee with the charter to support STEM education and research engagements, collaborations, and leverage my expertise to grow the committee potential and opportunities for W@C.
I admire Reshma Saujani for building a strong system to encourage young women to get interested and stay interested in technology. It is so important to equip girls with the skills needed to be successful in coding, by building Girls Who Code she has given them not only the skills but the support system so vital to success. Reshma's TED talk on teaching girls bravery, not perfection, is a powerful reminder of how many times girls and women are our own worst enemies and that it is important to move forward and take risks in everything we do. In a quote often attributed to Eleanor Roosevelt, Great minds discuss ideas; average minds discuss events; small minds discuss people. I would love for my 16-year-old self to understand that true friends and colleagues are the ones who are willing to think and strive with you. And those are the people who will make your life fun and worth living. Just let the rest go. A skill I have been working on is how best to engage individuals with information that is both visionary and tactical at the same time. How to set a lofty concept of where we are going while simultaneously setting expectations about how to get there and be successful along the way. Working closely with Channel Chief, Sandra Glaser Cheek I have been given the opportunity to interact with someone on a regular basis who is adept at that and learn from her poise and presence. It is so important in making sure a good strategy becomes a good business practice. Year of Yes: How to Dance It Out, Stand In the Sun and Be Your Own Person by Shonda Rhimes. The creator of Grey's Anatomy and Scandal chronicled her journey of saying yes to all of the opportunities put before her in life. I started doing the same and so many wonderful things have come my way. From great new job opportunities, new friends, a wonderful new place to live, the past year has been exciting and interesting. I would have missed if I had not been open to saying yes to all of the things put in my path.